Do you have a goal to be a successful business owner? Franchising can help you reach it. But, before you begin on a path to opening many profitable franchises, you should take a moment to read a bit of history about this sector. If you want to become an owner of one of the best franchises, the first step is to learn what franchising is and how it all began. This will not only show you the longevity and power of franchising, but also how to start a franchise and be successful. Believe it or not, historians suggest that people knew how to franchise way back in the Middle Ages. During this time, municipal governments would give high-ranking church officials and important citizens the licenses necessary to levy taxes and preserve civil order. Additionally, rulers of land would grant licenses to people for the purpose of running markets or other business operations. In turn, these licensees paid royalties to the establishment in order to receive exclusive control over commercial activity. As more citizens realized how to start a franchise, the developing regulations became solidified into law. The desire to reap the benefits of profitable franchises continued into the Colonial period when brave citizens would establish colonies and pay royalties to their sovereigns for protection. At this point, you probably want to move onto something that is more familiar to you. Well, how about beer and rum? This is what 19th Century franchisees thought were the best franchises to invest in. During the early 1800s, Australians were given exclusive licenses to import 45,000 gallons of rum in exchange for constructing a hospital. A few decades later, a German brewer learned how to start a franchise when they began selling the rights to their beer and brand name to pub owners. Not long after the boozy purveyors discovered how to franchise, the U.S. got in on the franchising action. In the early 1900s, Isaac Singer and his famous sewing machines helped people start their own profitable franchises. Not only would Singer charge the motivated entrepreneurs a licensing fee to sell the machines, he would also train them on how to properly sell the products to customers. Next came Henry Ford’s mass production of cars, which spawned the birth of dealership franchises all over the country. This motivated others to find out how to start a franchise, and the U.S. soon became home to the most well-known and best franchises worldwide. Best in Class joined the world of franchising over 20 years ago. Since then, they’ve been showing entrepreneurs how to succeed in the education franchise industry. With nearly 50 locations all around the country, franchise owners inspire students and teachers through a passion for learning and making a difference in their communities. 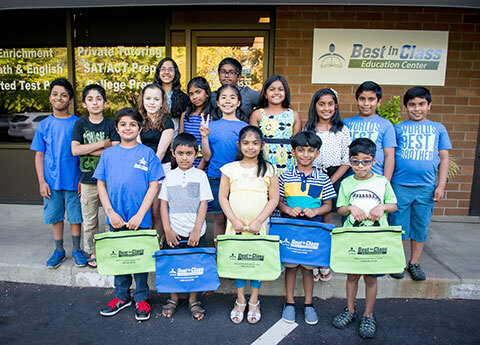 Best in Class continues to help aspiring business owners learn how to start a franchise so they can build a secure future for themselves and the kids in their communities. So many people have fulfilled their entrepreneurial dreams by running profitable franchises. It’s time that you join them!